´This life is what you make it´. 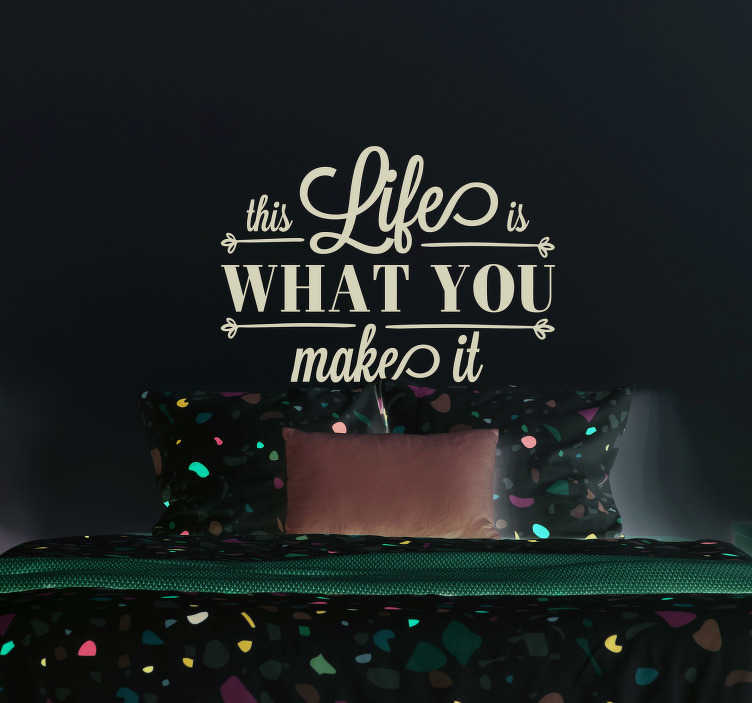 Fantastic wall decor for those who need reminding that, no matter what their situation, it is always possible to make ones life that little bit better! This quote sticker, inspired by Marilyn Monroe, is ideal for anywhere in your bedroom!